…has probably heard their instructor mention something about their stance and/or balance… and for good reason. It’s arguably the most important skill in skiing. Of course there are many other important skills. 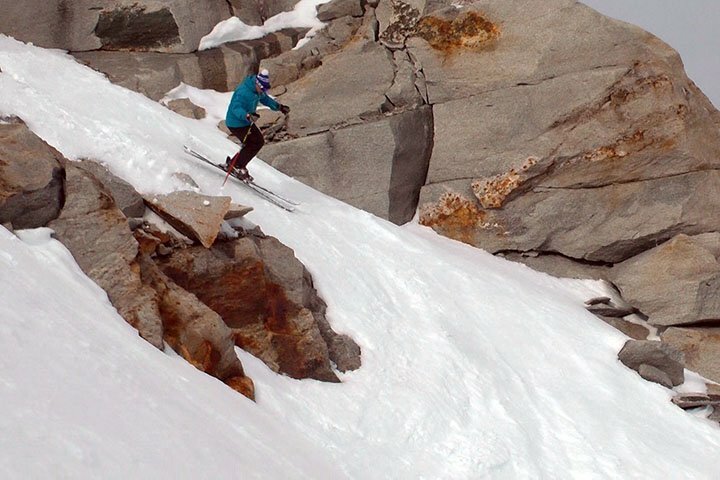 In fact a functional stance and great balance don’t really do anything to make a ski turn on their own… but without it the rest goes out the window. Now here’s where people get confused. There really is NO “perfect stance” to maintain at all times. Stance needs to be dynamic to keep balance. It changes for every millisecond in time, depending partially on what you are trying to achieve and more importantly on all the forces that are acting upon you at that particular moment. I hate to turn this into a physics lesson but think gravity, friction, centrifugal, centripetal, etc… and you get the picture. It’s all about moving in a way as to keep your ‘center of mass’ (where the sum of mass is concentrated in an object, in this case your body) supported by your ‘base of support’ (the bottom of your skis… hopefully). Then you can then manipulate all these wonderful forces however you like. For simplicity’s sake, I will stick to balance in the fore/aft plane (forwards and backwards) and save the rest for perhaps another article. Neutral Stance – Right, so there is no perfect stance but you need to start somewhere. So I like to teach people a strong “neutral stance” meaning an athletic position you can move anywhere from quickly. Keep in mind this differs slightly for people with different body types and tends to be a little lower and more aggressive in fast higher performance skiing and a little taller and more relaxed in slower cruising. Ideally at this point you want to feel the pressure distributed along the bottom of your feet. More specifically, if you have a good pair of foot beds you may feel the high point of your arch where it attaches to the heel, making the center of the skis your “base of support.” . Think athletic, like a goalie in a soccer match about to take a penalty shot, slightly flexed in all the joints and ready to move in any direction. Remember that you’re ankles and feet are locked in stiff ski boots so their range of motion is restricted quite a bit. You will need to compensate for this with other joints in order to feel that balance directly under your feet. 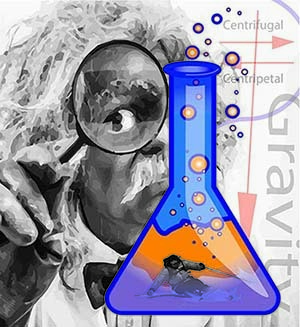 Being Dynamic – As you slide through an arc the forces acting upon you constantly change in direction and intensity. So now that you’re moving… you will really need to get moving to stay in balance. This is where it gets tricky because how you move depends a lot on exactly what you want the skis to do. Without knowing your goals, the conditions and seeing your current skiing with my own eyes, all I can do is give you a few ways to think about it. Again, sticking strictly to the fore/aft plane of balance, think about what happens when you bend or extend certain joints (eg. Flexing just ankles = C.O.M. moving forward, bending just knees = C.O.M. moving backwards, bending just at the hips = C.O.M. moving forward) the trick is to move all these joints in harmony to counteract whatever forces you are dealing with at the time. One piece of generic advice I can give is that it is much easier to move quickly with the lower body than it is with the big bulky upper body. Think of keeping the core tight and shuffling your feet back and forth underneath you, as opposed to swinging your upper body back and forth over your feet. Having nice slippery stuff like snow beneath your feet is what makes this possible. In most turns it should feel like you’re pulling your feet back underneath you at the start of a turn (as your skis enter the falline and speed up)… then pushing your feet slightly ahead towards the end of the turn (as your skis begin to steer out of the falline and slow down). Play around with this and try to figure out which joints are doing what… and when. I will touch more on tactics for specific situations later, but for now I suggest going out and experimenting a little with dynamic balance.